Our strain of Speedy Chile was created by crossing Early Skunk x Skunk and Chile Indica. The relaxing elements of Early Skunk and the euphoric or energetic elements of Chile Indica combine to create a soothing active high that is perfect for those who want to relax all day long, while still getting necessary tasks completed. 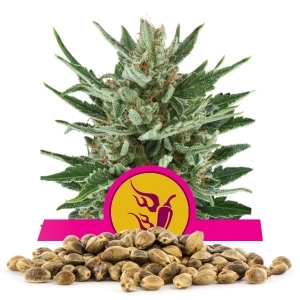 By crossing the third-generation quick flowering version of this plant with a clone of the same, we have managed to create not only a great combination of effects from the original sources (Early Skunk x Skunk and Chile Indica), but we've also achieved a highly potent level of THC from this cross. At 16%, the concentration of the THC levels found in this strain are comparatively large when looking at other fast growing strains. The photoperiod feminized strain strain we have created is an easy-to-grow variety. It is one that any novice could pick up and grow with just a little bit of research on the subject. 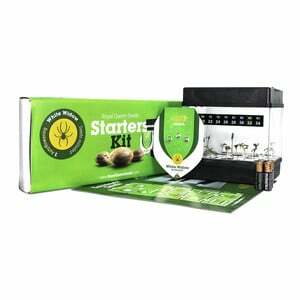 However, it is also one that growers with big professional grow set-ups will be able to manipulate with their advanced knowledge to get the most out of the plants. The results from growing these particular seeds inside versus outside will vary quite a bit. When grown inside, these seeds can generate up to 525 grams per square meter harvested. The plants will remain compact at only 50-100 cm in height. Those who choose to grow the seeds outside will see that the plants can grow much larger, ranging from 100-170 cm in height (some nearly three times the size of what you'd see grown inside). The plants grown outside can produce up to 500 grams per plant when dried. One advantage that professional large growth set-ups will see when planting these outside is that they are able to be harvested one to two weeks earlier than other outdoor strains, giving their harvests a jump-start. 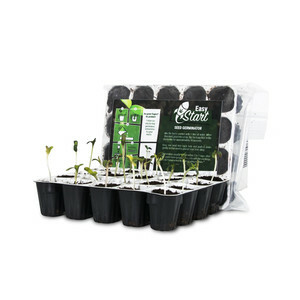 Our Speedy Chile plants are potent, easy to grow, and produce an impressive quantity at harvests. With a high THC concentration and the combination of Early Skunk and Chile Indica, they produce an easy-to-grow strong active high for anyone to obtain.